Faaji Agba Eko is a unique Musical Concert that shows the deep-rooted musical history, colorful tradition and immense resilience of Lagos inhabitant as naturally industrious people; full of pride and self-confidence and this year’s edition attracted many Politicians, Royal Father, Captains of Industries, and Icons in the Entertainment industry. Faaji Agba Eko is the initiative of Evergreen Musical Company which stands out for its historical rejuvenation of Lagos songs of yesteryears. The music includes Sakara, Juju, Apala, Agidigbo, Waka, Fuji, highlife, folk and Afro beat. 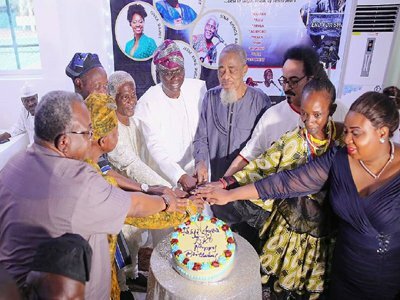 The ambience at Absolute Lagos Event Hall, Lagos Island was electrifying on Sunday 16th December 2018 as veterans in the music industry who are mostly in their 70s honoured the musical concert, which celebrated the rich uniqueness and originality of African songs since the Amalgamation of 1914. Yinka Davies, a vocalist, dancer and lyricist, doubled as one of the performing Artiste and also as the compere, and moderator of the event. She did justice to the event by creating a lively atmosphere with her songs and jokes as she welcomed and introduced guests. Chief Kenny Martins led the Opening Prayer and ushered the organisers into another level of prosperity for keeping records of the great works done by veterans in the music industry. Yinka is sure an entertainer per excellence as she made the rendition of the National Anthem in her sonorous voice. The Chairman /C.E.O OF Evergreen Musical Company, Mr Femi Esho gave the Opening Remarks as he welcomed guests who honored the Event and he also used the medium to appreciate everyone who has contributed to the success of the event in several ways. 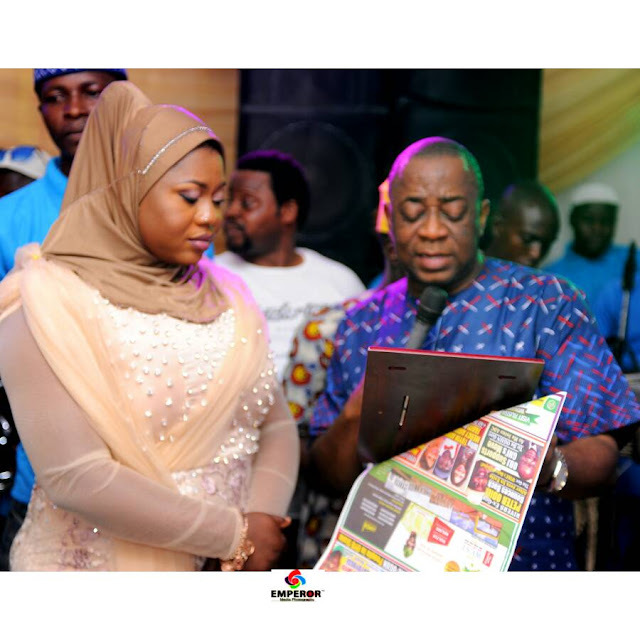 Bimbo Esho, who is the Managing Director Of Evergreen Musical company, was seen coordinating and making sure the event was a huge success. She welcomed dignitaries into the hall and made sure they were properly attended to. She is, indeed, a manager per excellence as the event was orderly managed. Baba Jimi Solanke popularly called Uncle Jimi is a legendary playwright, actor, poet, folk singer and he stormed the stage in a musical interlude with some of his songs which he wrote several years ago, but they are still very much relevant to the contemporary society. Uncle Jimi is indeed an Authentic Artiste and it was so easy for him to switch his voice from singing to telling folk tales. Some even call him the father of folktale in Nigeria and one could hardly believe that he is 77 year old already. He had a sonorous rendition of songs like Onile Gogoro, Eko Akete, and molo soko and shortly after a minute silence was observed for the departed music Giants Across the globe. Orlando Julius Aremu Ekemode, a musician, singer-song writer, and multi-instrumentalist mounted the stage with so much energy with his American Wife, Latonya Aduke Ekemode. He played the Saxophone with so much strength at 75 that he got a standing ovation from the Audience as he rendered Ololufe, Asiko, out of his hundreds of hit tracks. The audience got a shocker from a young man named Sehinde Jones, who is a replica of the legendary Musician Chief Orlando Owoh. He mounted the stage and while everyone was still wondering he began to sing like Orlando Owoh. If not for the difference in looks, one would have concluded that it was Orlando Owoh that was singing and the fans of legendary could not wait, but spray the young man some crispy naira note. Aralola Olamuyiwa, who is the number 1 female talking drummer in Nigeria of international repute dazed guests as she was expected to play the Talking Drum but she talked more on the need to honour our veterans and not wait till they die. She emphasized the fact that most of Nigerian veterans were honoured when they were no more and she took the opportunity to appreciate the Board of Directors of Evergreen Musical Company for the initiative. Sir Tee Mac Omatshola Iseli is an international Award-Winning Multi-talented maestro flutist with cross-cultural Itsekiri and Swiss Roots, and also a former President of the Performing Musicians Association of Nigeria. He recently turned 70, but he is looking 50 and he said he owed the young look to God and some choices that he has made. He thrilled guests as he played the flute to the admiration of many. The gubernatorial Aspirant for All Progressives Congress in Lagos state, Babajide Sanwo-Olu was present at the event and he used the medium to tell Lagosians that entertainment and Tourism are on his Agenda and that the works of the veterans would be glorified and taken to the next level. 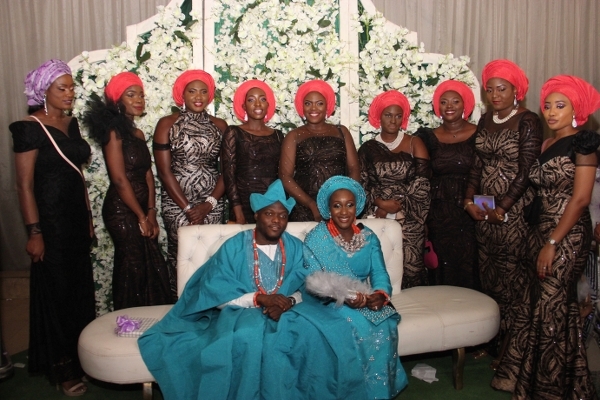 He openly made his intentions known and asked for suggestions that would help grow the entertainment and tourism Industry in Lagos state and the suggestions were noted. The Board of directors of Ever Green Musical Company presented him a gift. Sir Sina Ayinde Bakare, Jesse King, Flash Band, G-Thomas and the nightingale ambassadors owambe, Dollarz, Royall Bell Band, Ever Green Music Band took turns on the bandstand with their beautiful Renditions. There was a mass rendition of all the performing Artistes which brought the blend of different Genres of music like High Life, Afrobeat, juju, folk to mention a few. Did we tell you that Haleemat Busari who is running as the deputy Governor of Lagos State on the platform of the People’s Democratic Party came to celebrate the music veterans? She spoke on the need to keep our values and culture through keeping the works of our veterans in various industries? She further said that Lagos was the fountain of Entertainment and Faaji Agba is an initiative that would be sustained. She was also presented a gift by the Board of Directors of the ever Green Musical Company. Yinka Davies rounded the event with prayers and the Ever green musical Band continued afterwards.